Hi guys!! Im not one to be that creative but thought I would post a newspaper nail creation I do that is simple and funky! 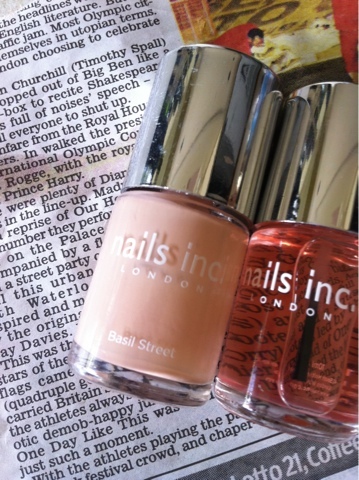 All you need is a shade of nailvarnish, I used basil street by nails inc, a top coat and a newspaper cutting. 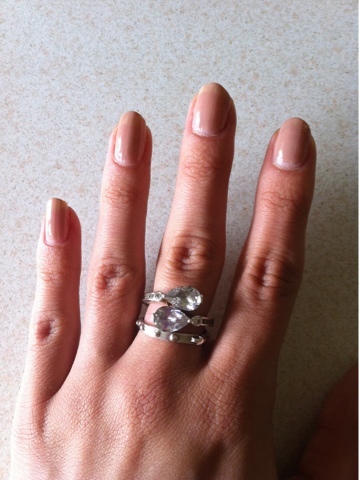 Paint your nails with two coats, wait to dry. 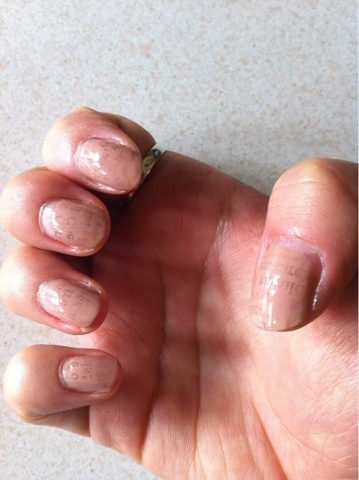 Then get your newspaper cutting, wet it and place over the nail for 30 seconds, take off and add a top coat! Wahey! Done! Have a go! Mine disnt turn out that great :( as i rushed it whilst little one sleeps!! But my lovely cousin did it and showed me yesterday, it was super! I think that's great, will be copying lol, xoxo.